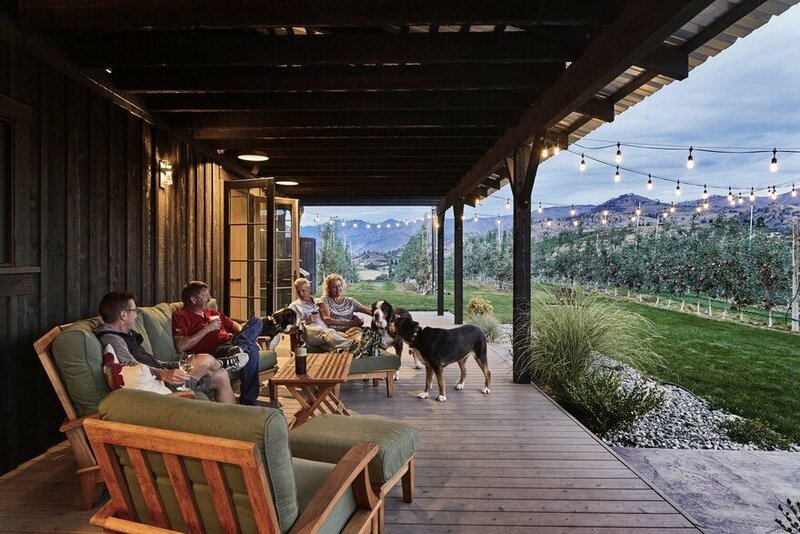 What started as a need for a simple orchard barn grew into something much grander. 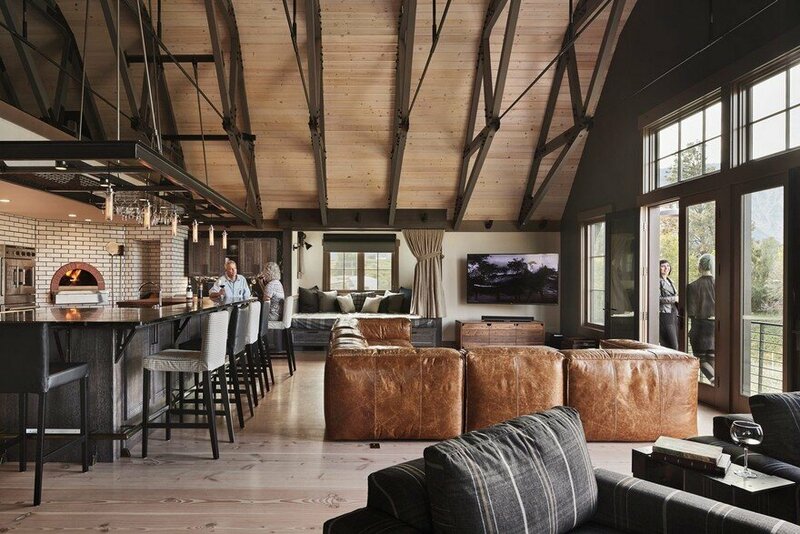 A unique project nearly four years in the making, the Manson Barn Retreat is one part working barn for a commercial fruit orchard, one part hospitality venue for weddings and events (complete with custom brick pizza oven) and one part luxury residence on the top floor. 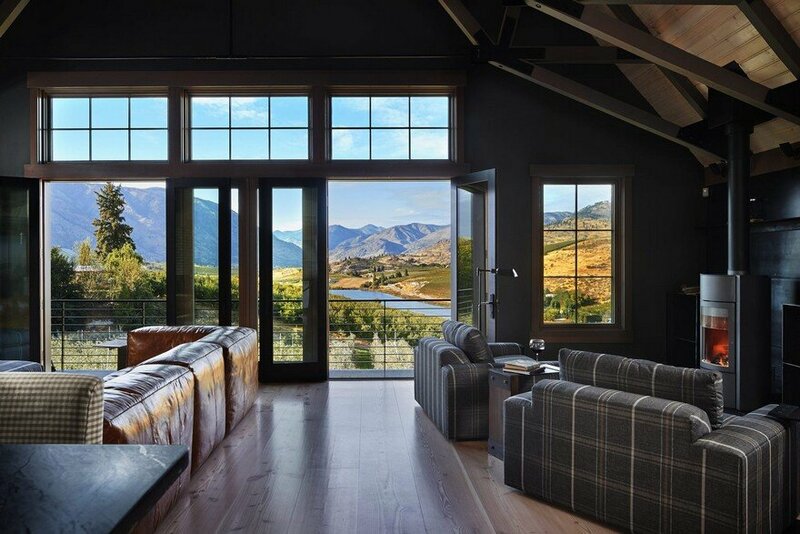 The design for this vacation retreat, entertainment facility and working barn balances a desire for nostalgia with contemporary requirements and stunning views. 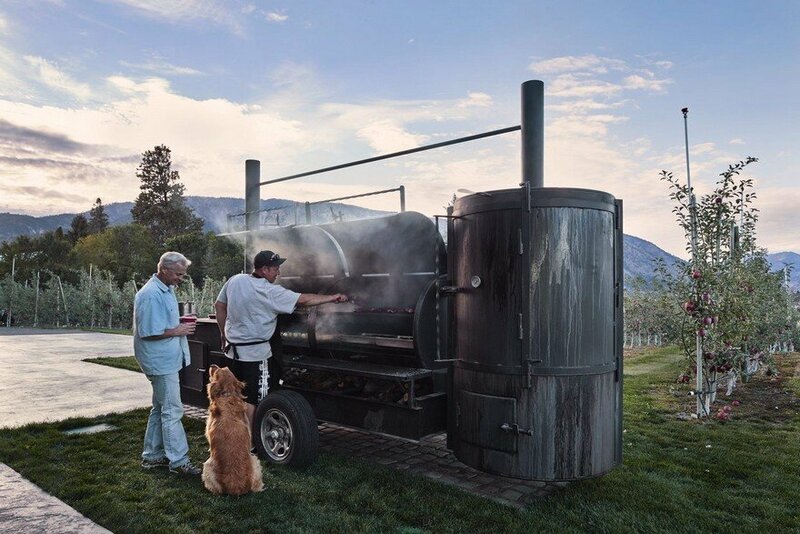 Set within twelve acres of agricultural land in central Washington state, the site offers views to Dry Lake and the Cascade Mountain Range. 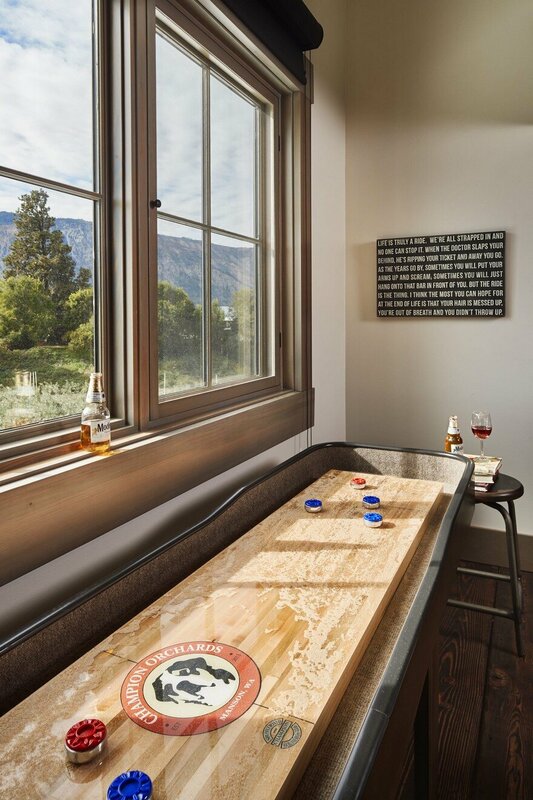 Inspired by sketches developed by the clients, the 10,000-square-foot barn features a ground floor entertainment area complete with a commercial kitchen, storage for orchard equipment, a below-grade wine cellar, and second floor guest rooms and living areas. 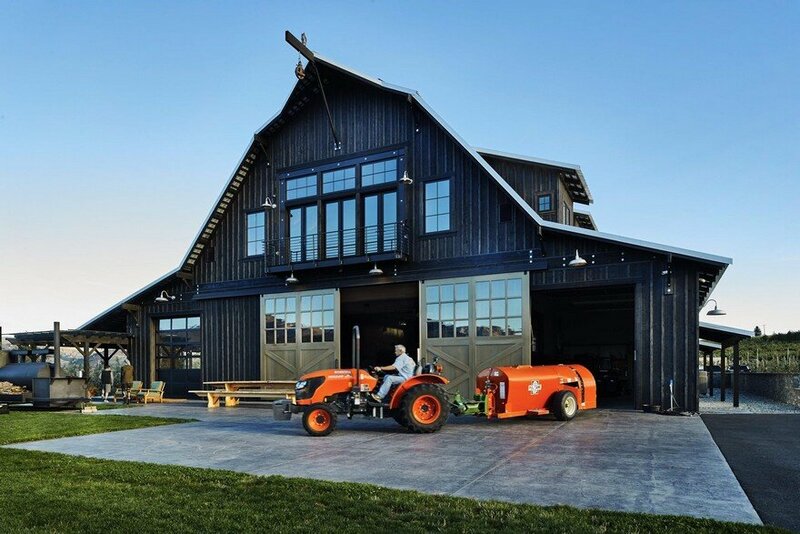 The building is distinguished by its hybrid roof form, a roof based on traditional gambrel barn shapes yet with added elements including dormers and gull wings. 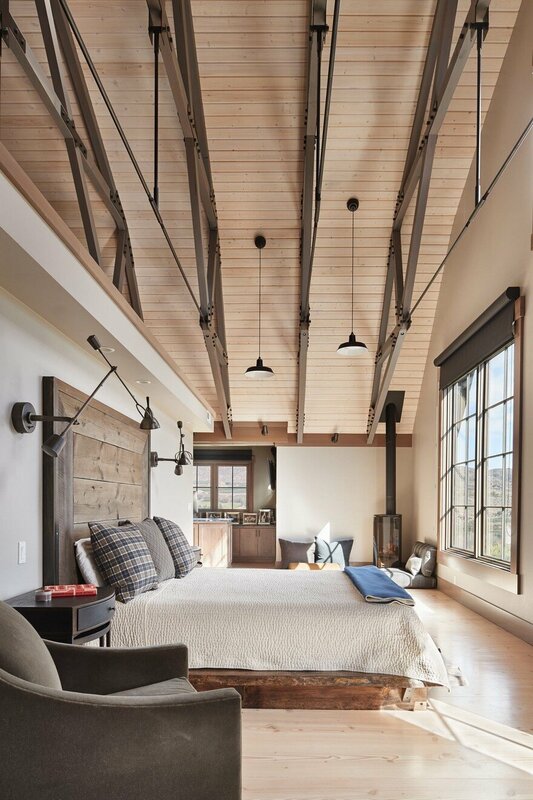 The large dormers help to break down the scale of the volume, increase light into upstairs living areas, and provide ample space for guest rooms. 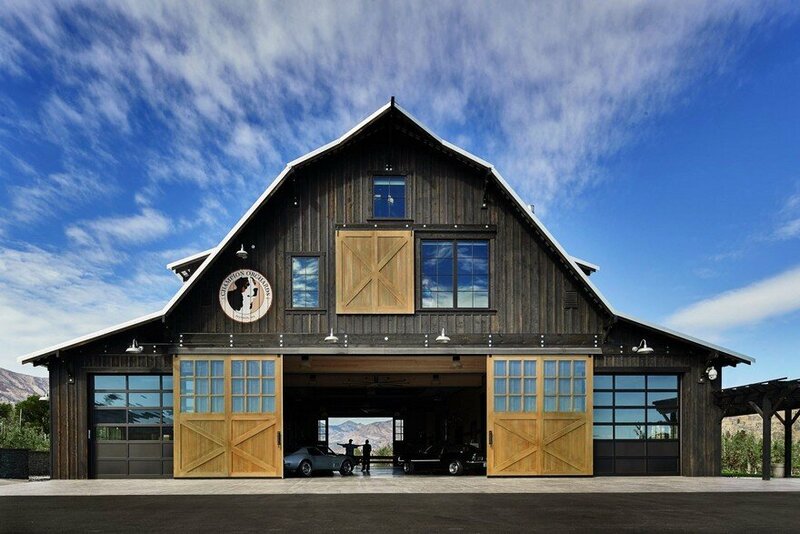 Gull wing elements transition the building into the adjoining orchard and house ancillary shop and operations space. 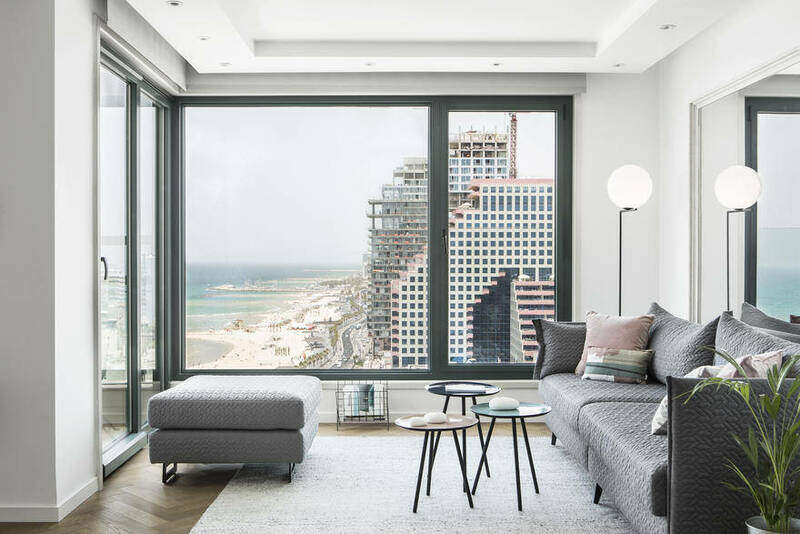 Large, sliding carriage doors open both ends of the building up to its setting, encouraging guests to move into the landscape and take advantage of the views. 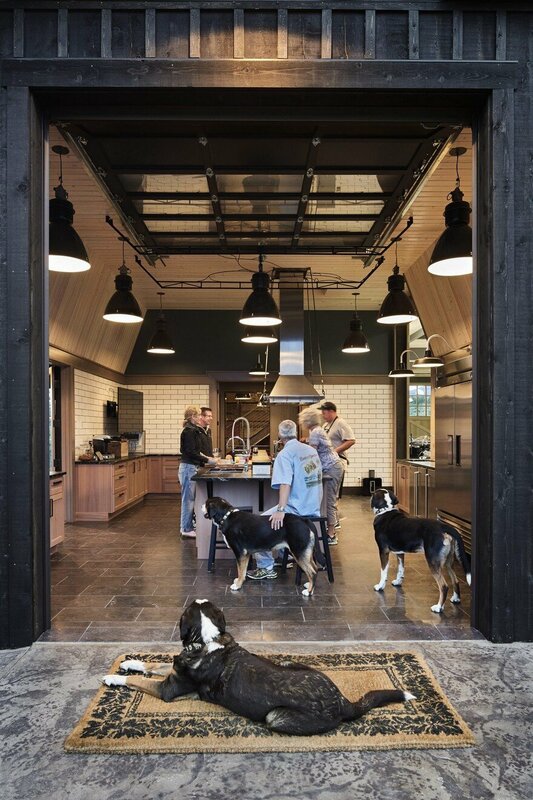 Garage doors, located under the wings, provide additional opportunities to merge inside with outside space. 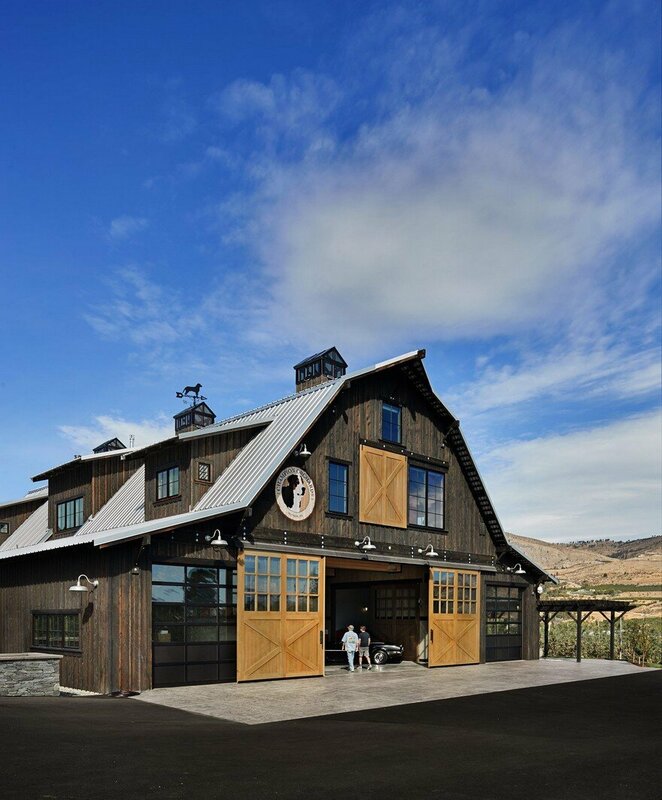 The exterior is clad with black-stained wood siding, applied with steel wool and vinegar; over time, the stain will soften to a silvery gray, blending the building into the adjacent landscape. 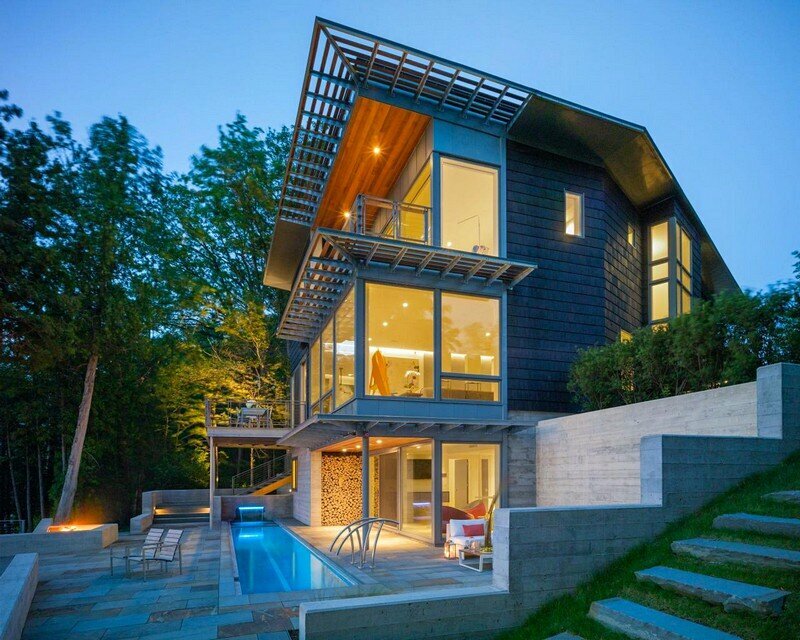 “We suggested nixing the red barn for something more sympathetic to the landscape”, says designer Kyle Gaffney. 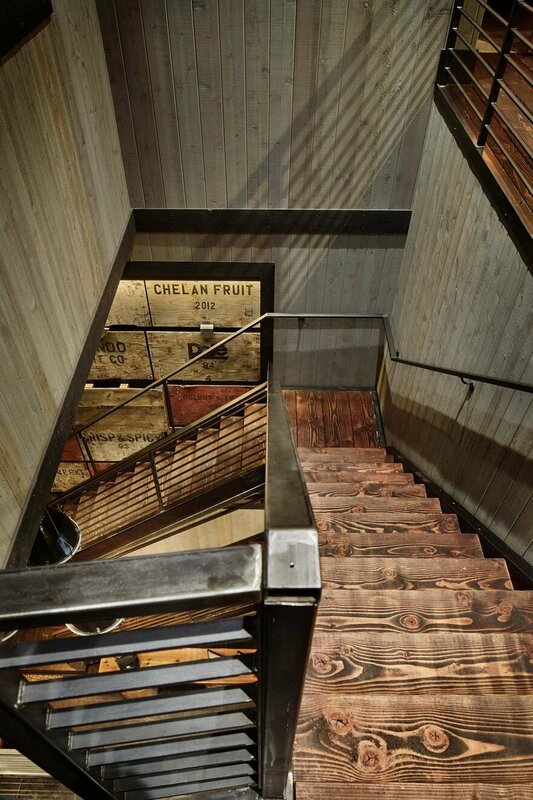 “We showed them some dark barns which made it more a part of the orchard rather than an object alongside it. 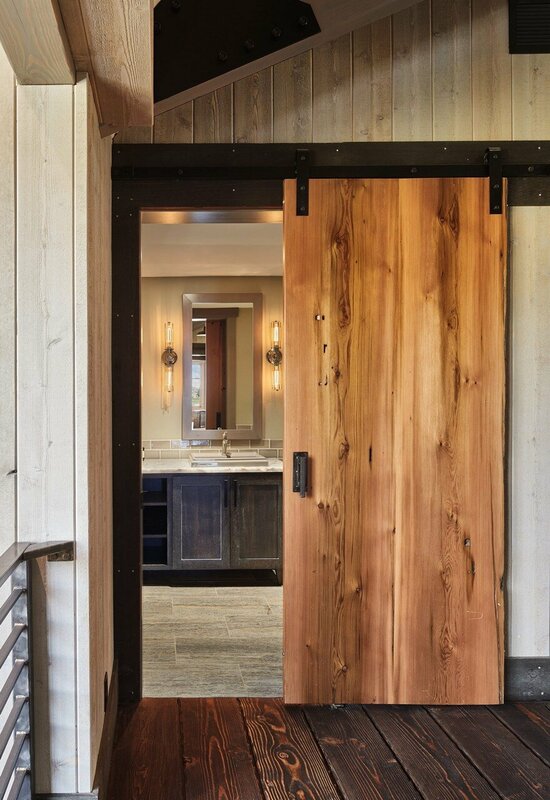 The carriage doors, both at the main level and “loft” level, are stained with a transparent tone and provide a contrast. 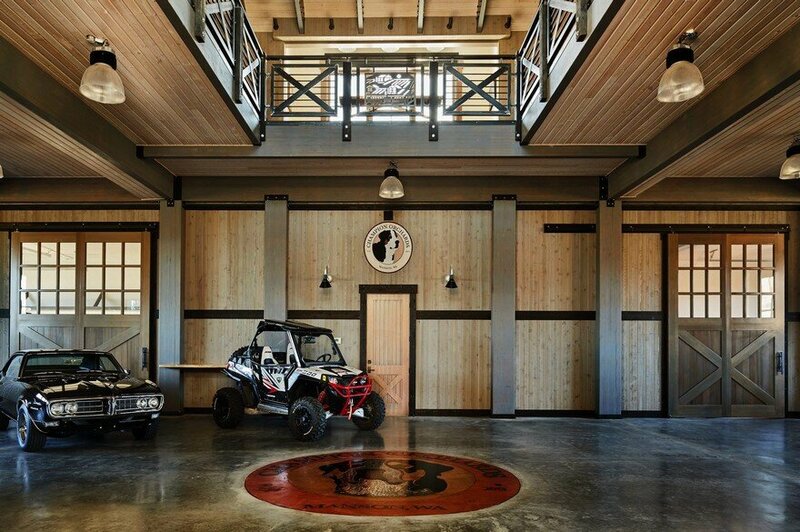 Inside, the main floor is essentially one large open space, suitable for parties or for storing vehicles from the owner’s classic car collection. 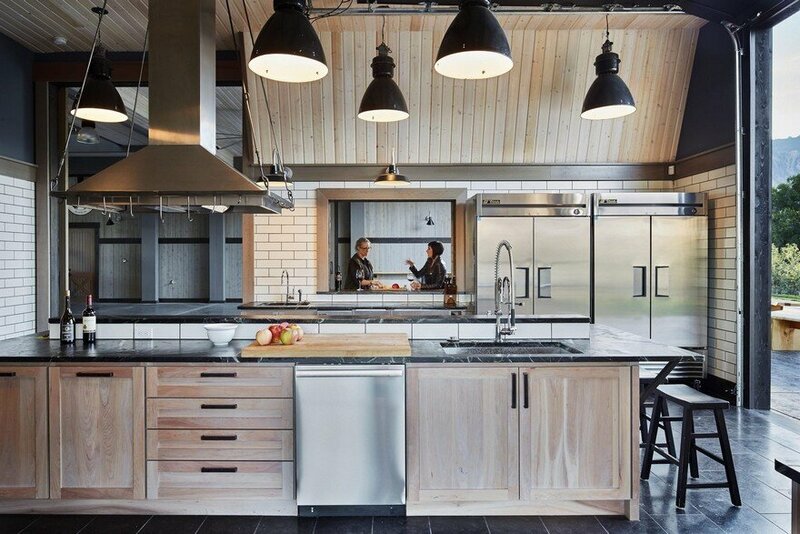 A large kitchen, complete with a custom-designed pizza oven, balances residential materiality with commercial scale. 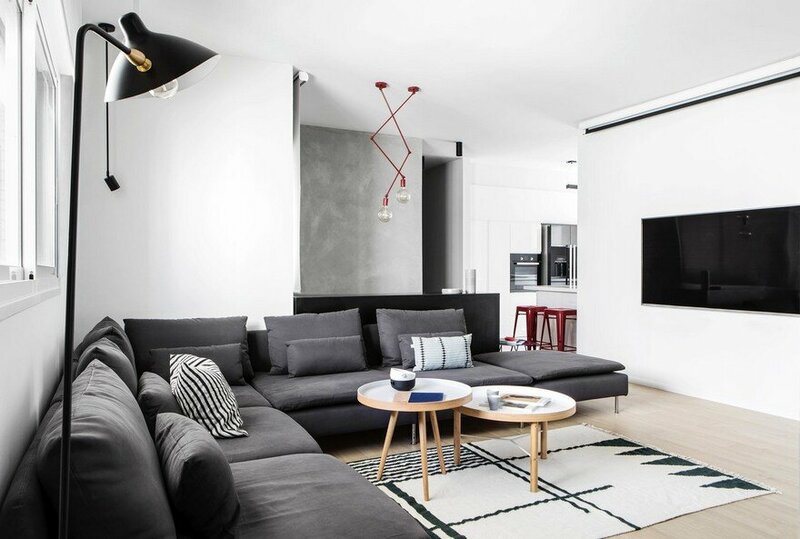 An adjoining great room reinforces the residential feel of the space and completes the contemporary open kitchen plan which encourages mingling. Kitchen and great room open onto expansive exterior patios. 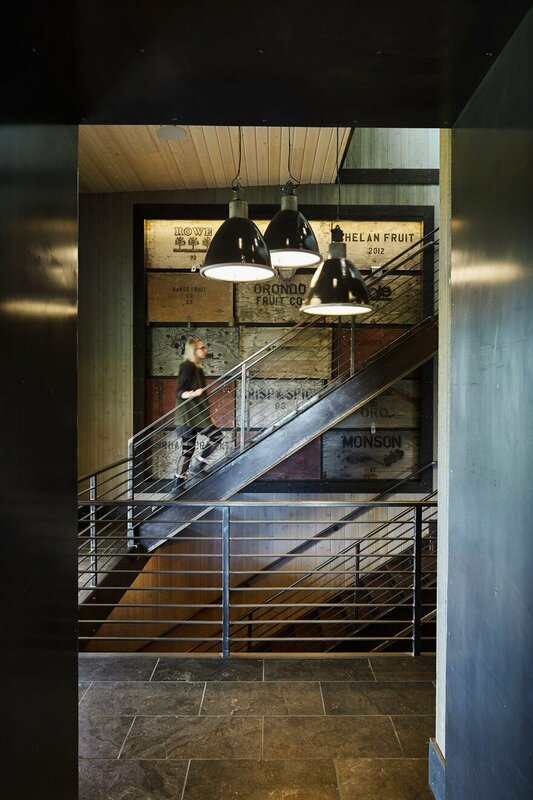 A three-story steel staircase featuring wood treads unites the three floors of the facility; vintage apple crate panels clad the solid wall of the stairway and serve as a nod to the landscape outside. 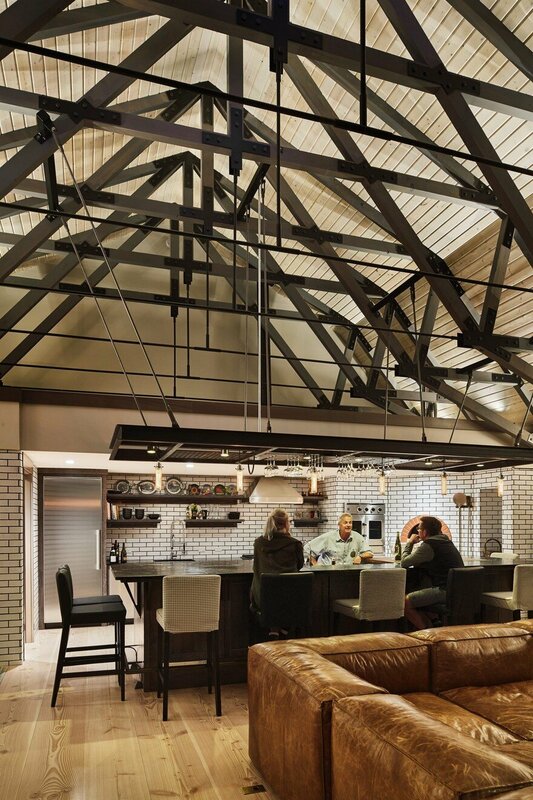 Overhead, twenty four exposed wood trusses span the interior and contribute to the quasi-industrial aesthetic. 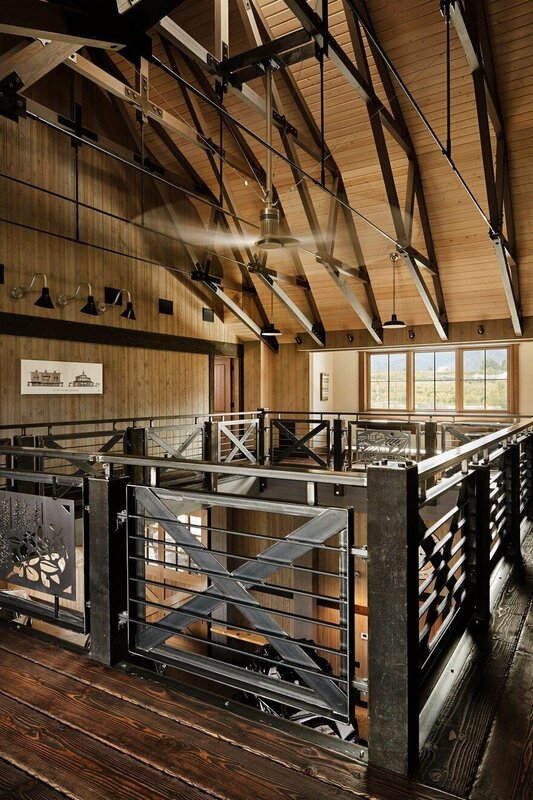 The trusses are supported by powder-coated steel brackets. 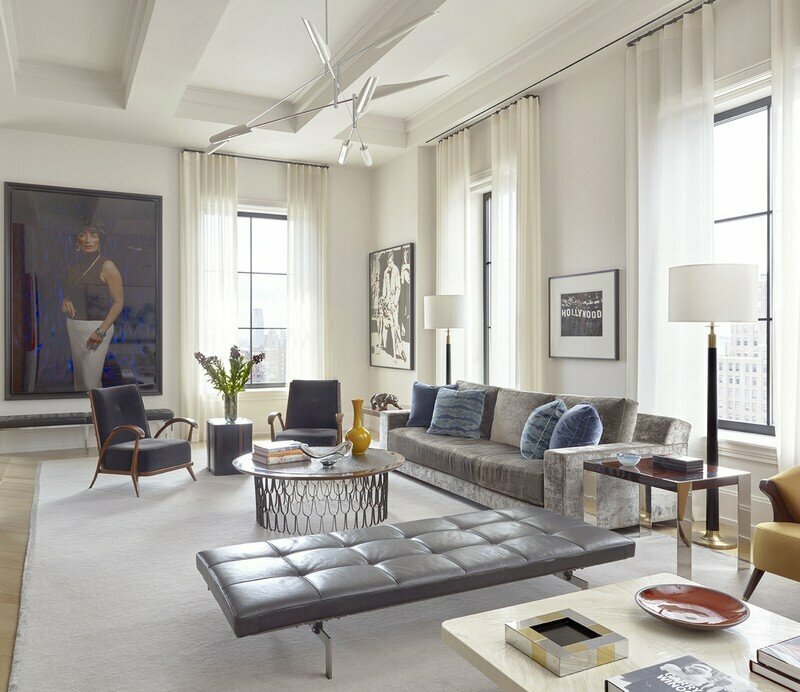 The upper floor, or loft area, houses guest rooms and a shared living area which wrap the perimeter of the building in mezzanine-fashion, leaving the center open to the ground floor below. 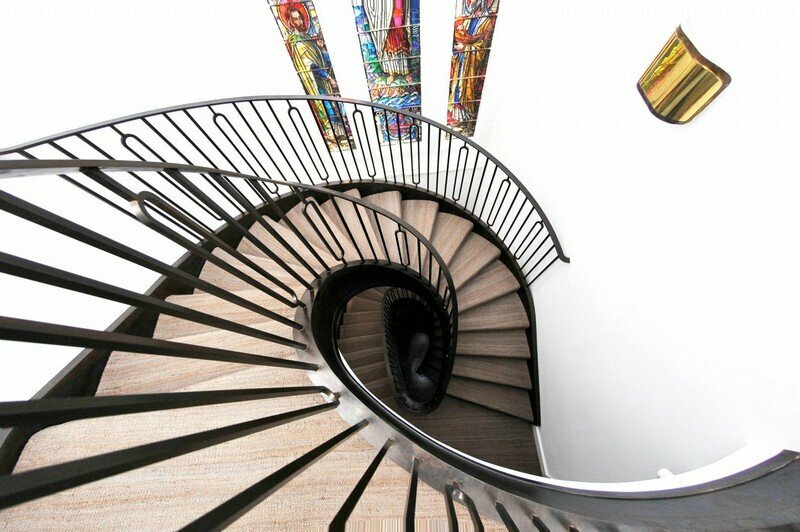 Peering over the steel railing reveals an integrally-colored, concrete and stainless steel emblem that is inset into the of the floor below. The emblem serves as the hallmark for the property and is repeated in Dutch-barn-sign fashion on the outside of the building. 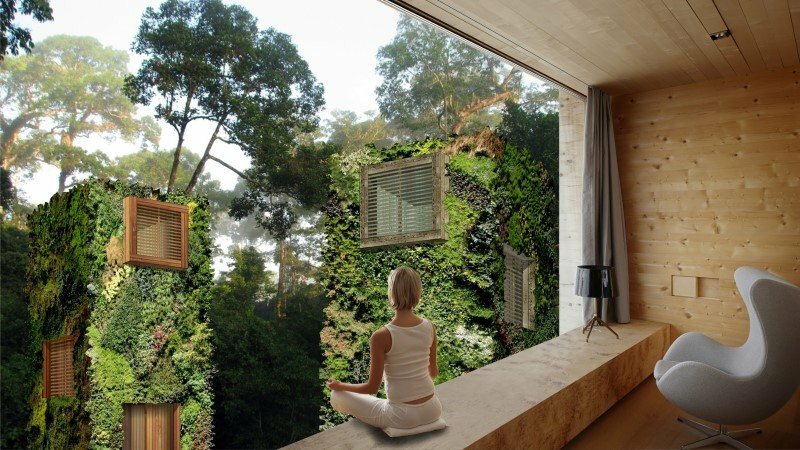 The master bedroom view overlooks the orchard. 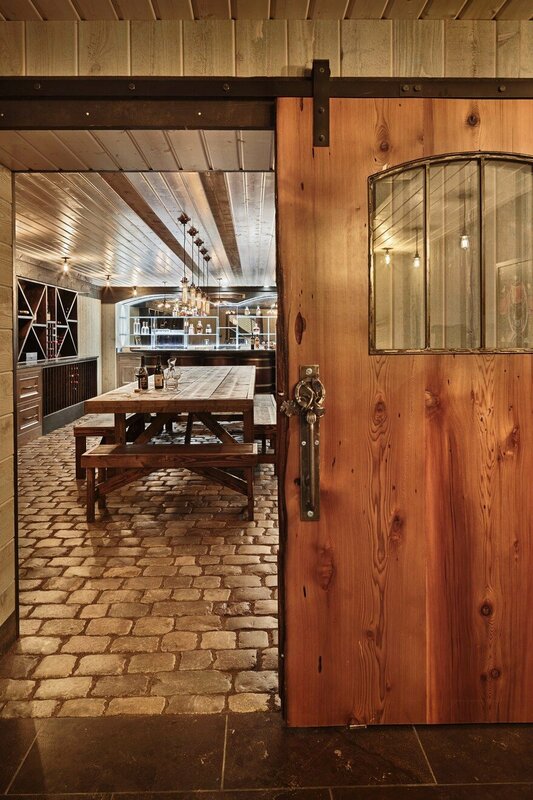 The basement level wine cellar is highlighted by the use of split, sanded cobblestones for flooring—once used as ballast in ships sailing to Colonial America. 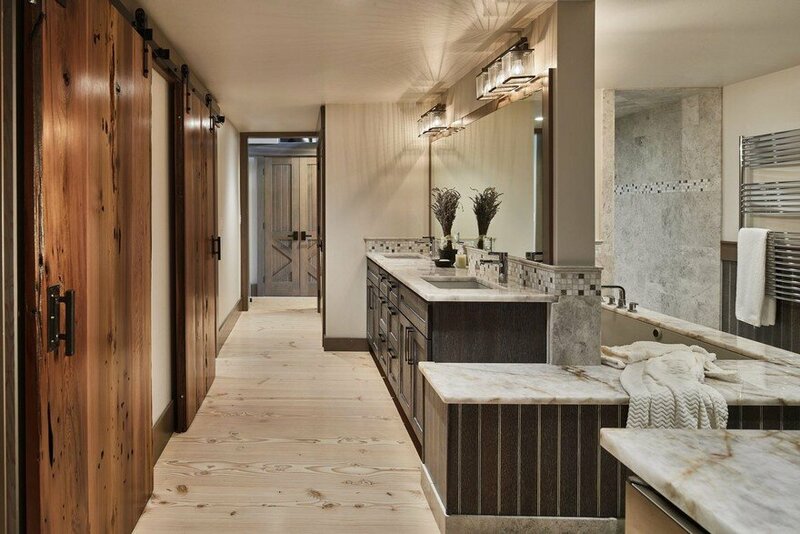 Cedar sinker wood—wood pulled from the bottom of a nearly lake—was milled and turned into the sliding barn doors in the wine cellar and master bathroom.